On everyone’s favorite Friday, April 13th, 2018, Louise and I spent a lucky day with Barbie Perez and her faculty at La Scuola, in Miami, Florida. In 2017, La Scuola moved into a beautiful vacant school in the Dade County area of Miami. It’s a dream come true for them with its two adjoining one floor buildings, with all rooms opening out to the surrounding four acres of woods and fields. They are having a blast settling in, making the place their own, complete with chickens, a lizard park, favorite trees and wild peacocks. 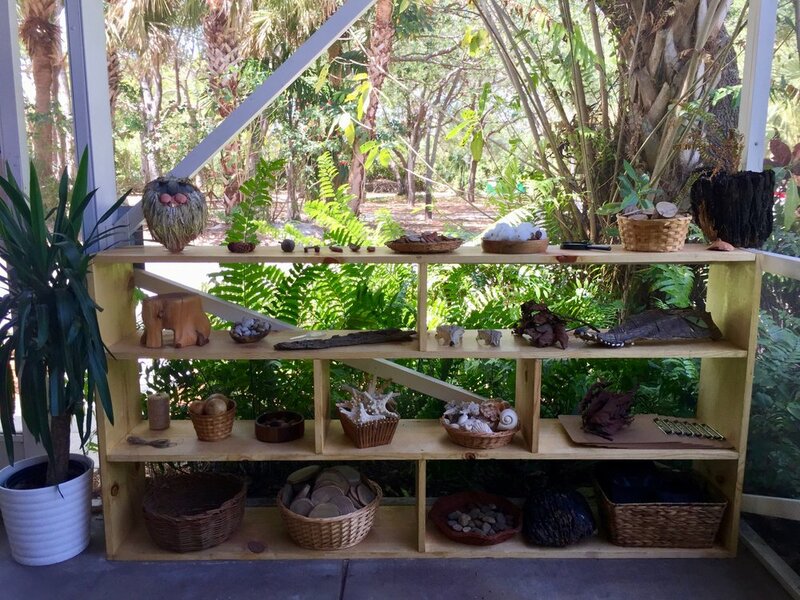 For a number of years, La Scuola faculty has focused their curriculum around place-based, inquiry projects. We have published previous blog posts featuring their work and our work with them. During this day together, we decided to reflect together on their experiences with projects to discern: What are the patterns and elements of a robust, successful project? We began with an open discussion of their ideas. Then we considered several resources, one from Ron Berger and another from Gary Stager. We listened to Leila Gandini interview Loris Malaguzzi about the elements that make a good project. From these sources we discovered more ideas. Next we looked at images from The University of Vermont Campus Children's School focused on toddlers and mark making. Then, Ashley shared an iBook from The St. Michael School of Clayton What Is the Relationship between Animals and Humans? (a year long project with 3-year-olds through grade 6). 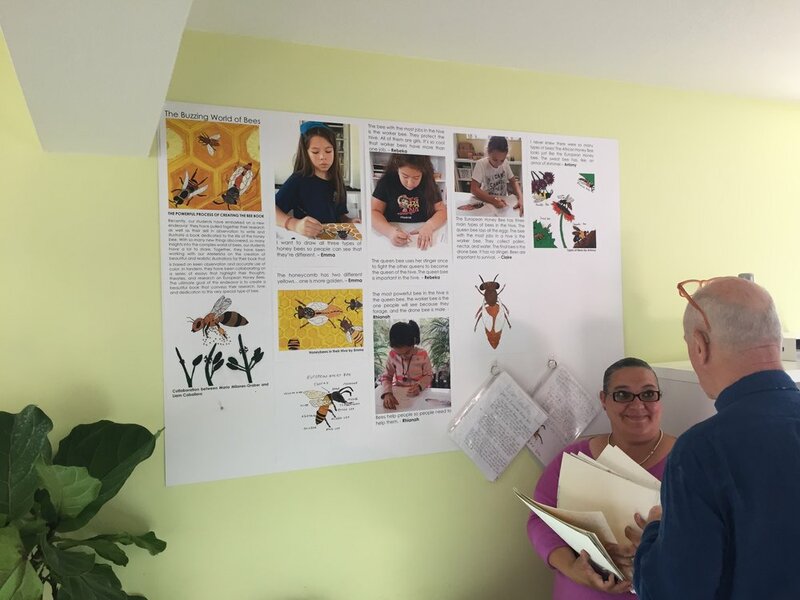 Finally, we viewed three La Scuola projects from this year, one on Bees and the other on Trees of their Campus. What we wrote that day is a work in progress rather than a definitive statement about project work. It is the basis for a shared understanding created together in April, 2018. Surely this understanding will change and grow over time. Just the other day, after we made this blog post public, Barbara Burrington of the Campus Children's School wrote, "It's about the story." And indeed it is. Begins with intentional planning...to develop a clear vision...and a map (that will be edited over the length of the project as things evolve)...the map lists the enduring understandings, essential questions, learning experiences and other sources for research and inspiration, skills developed, content explored, ways to make the learning visible (assessment). As we publish this post, it is with a BIG THANK YOU to the faculty of La Scuola for their good thinking and open minded sharing. They are a wonderful group of dedicated educators. They are doing GREAT work. Having said that, here's hoping that their intentions become reality: to publish at least one of the projects they are completing this school year. And, as Louise and I were leaving Barbie that Friday afternoon, we began musing about hosting at two day gathering at La Scuola, February 15 & 16. 2019. The focus would be GREAT projects. If you'd be interested drop me a note.